Why Did the Turkey Stop Being Sacred? 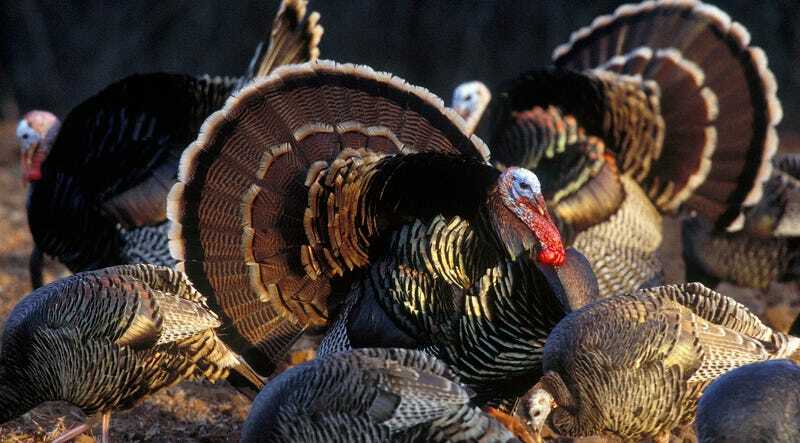 Centuries ago, humans didn’t eat turkeys—we revered them. But around the mid-1000s, Puebloan peoples of the American Southwest started roasting the sacred bird. What happened? It’s a mystery North American archaeologists have puzzled over for years. As a fascinating Science News article explains, the turkey was held in high esteem by the people inhabiting the Four Corners region of the Southwestern US some 700 to 2000 years ago. The birds were given elaborate burials and fed diets of precious corn. Their carcasses appear in ceremonial arrangements that archaeologists have linked to harvests, fertility rites, and the abandonment of sacred structures. At some archaeological sites, turkey bones begin to appear in food waste just as the remains of other animals begin to disappear. But cultural changes likely also played a role, as contacts between various groups led to the spread of new ideas and practices. And violent conflict may have had an influence, too, by making it too dangerous for hunters to make long expeditions for game. Whatever the reason, we can add turkey to the list of Thanksgiving foods that we should really thank early Native Americans for domesticating. And as you dress that bird up for roasting over the next day, maybe show it a little extra respect—for old time’s sake.